Ships today if you order in the next 9 hours 8 minutes. 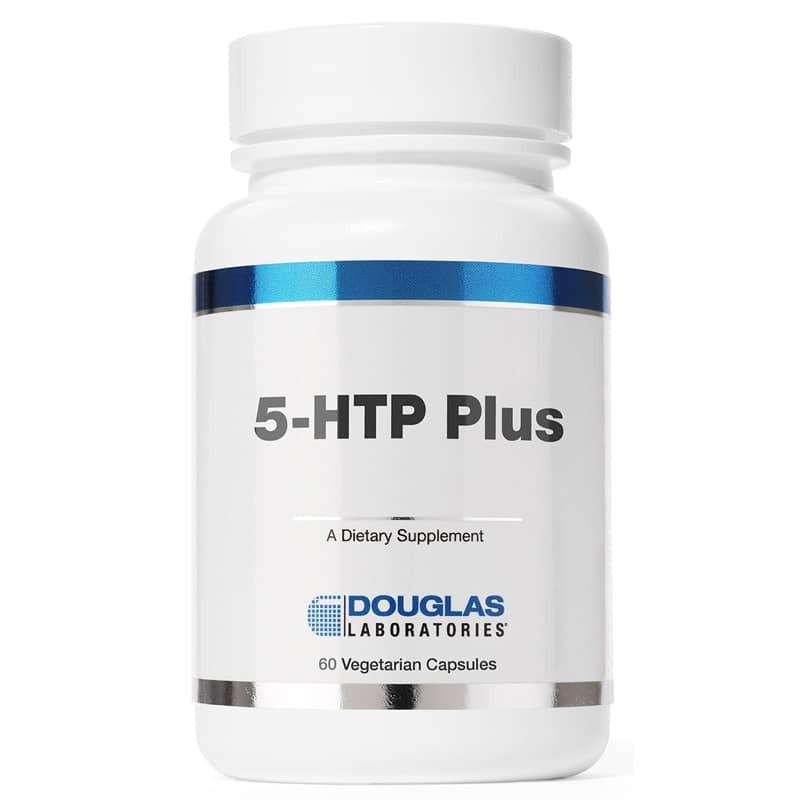 5-HTP Plus by Douglas Labs is a natural brain supplement for serotonin boosting support that may offer natural depression and anxiety relief support, natural mood enhancing support, and natural appetite suppressing support. Serotonin, an important brain neurotransmitter, is key in the regulation of appetite, mood, and melatonin production. Serotonin also acts as a satiety signal in the brain, thereby naturally regulating food intake. Additionally, as a precursor of melatonin, serotonin is involved in regulating sleep patterns. Serotonin is unable to cross the blood-brain barrier and is therefore synthesized in the brain*. 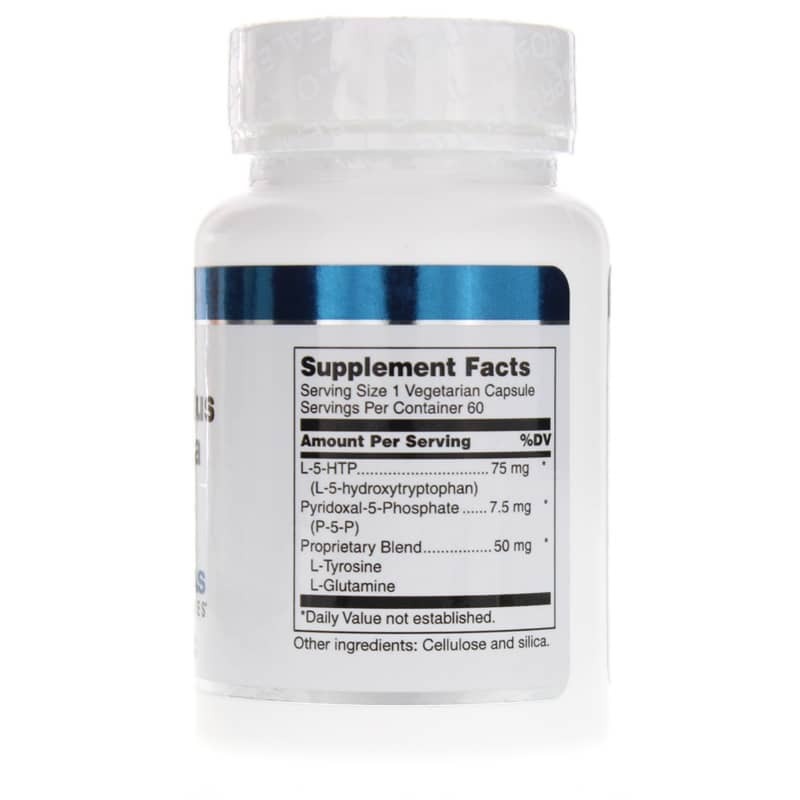 5-HTP Plus Formula capsules contain 75mg of natural L-5-hydroxytryptophan (5-HTP) extracted from seeds of the Griffonia plant, together with 7.5mg of pyridoxal-5-phosphate and 50mg of a proprietary blend of the amino acids L-tyrosine and L-glutamine. 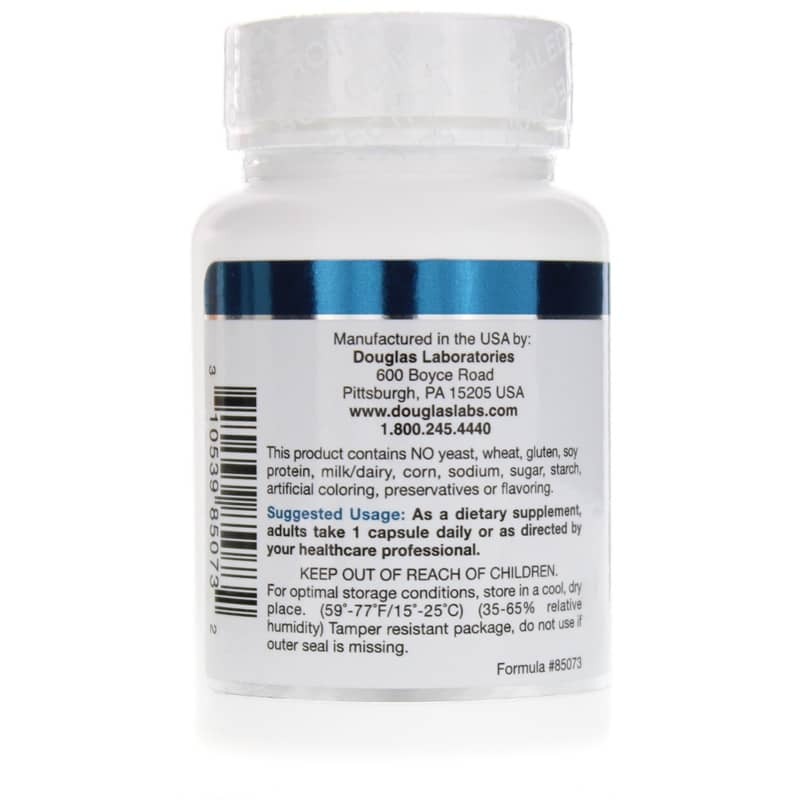 This product has been certified to be free of a contaminant, peak "x", implicated in a past incidence of dietary tryptophan-associated eosinophilia myalgia syndrome (EMS). Other Ingredients: cellulose and silica. Contains NO: yeast, wheat gluten, soy protein, milk/dairy, corn, sodium, sugar, starch, artificial coloring, preservatives or flavoring. Adults: As a dietary supplement, Adults take 1 capsule daily or as directed by your healthcare professional.